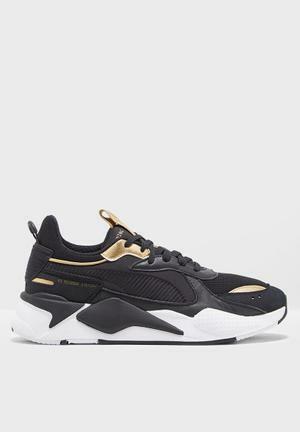 PUMA is keeping the momentum strong with their RS chronicles – this month sees the launch of the RS-X Trophies, this latest iteration of the RS-X sneaker celebrates the extreme reinvention of fame in the era of social media and reality television. As worn by South African rapper, songwriter and record producer Nasty C, who scooped major awards including Best New Artist at the Metro FM Music Awards, making him the perfect fit for the RS-X Trophies. Back in the 80s, the RS was an innovative and high-quality cushioning technology. 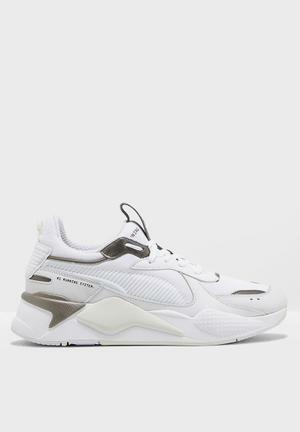 PUMA has revived and reinvented this design from the ground up. The new RS-X range is all-things extreme, exaggerated and remixed. Embracing the future and honouring the past, the OG-inspired silhouette celebrates extreme reinvention with its bulky design, material mixes, and bold colour palette.